One of the many appealing features of Fortnite is its plethora of vibrantly colored cosmetics and character skins that make all of the murderous violence that little bit less terrifying and a little more socially acceptable. 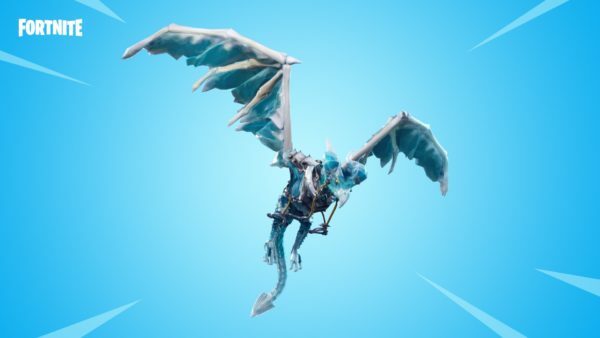 Fans are always desperate to see what new cosmetic items make their way to Fortnite’s Item Shop each and every week, and this week, players have been given a real treat with the arrival of the Frostwing Dragon Glider. 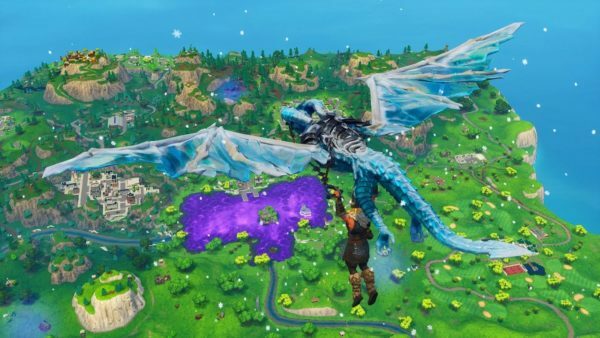 Here’s what you need to know to get the Frostwing Dragon Glider in Fortnite if you don’t know already, and what it looks like if you’re simply curious to see what all the fuss is about. First and foremost, as is the case with almost all other cosmetics in Fortnite that don’t come as part of each season’s Battle Pass, you’ll need to get your hands on some V-Bucks if you’re going to get the Frostwing Dragon Glider. What’s more, the Frostwing Dragon Glider is a legendary glider in Fortnite, and so costs 1,500 V-Bucks (about $15). To buy the Frostwing Dragon Glider, you’ll need to tab over to the Item Shop when you’re in a lobby and simply look for it in the Feature Items section. Select it, and then once the game gives you a little preview of the glider in action, you simply need to press Square on PS4 to purchase it, or X on Xbox One, Y on Switch, and so on. However, most of you likely already know how to get the Frostwing Dragon Glider in Fortnite, and you might just be dropping in here to get a few glimpses of what it looks like if you haven’t had a chance to check it out yourself yet. So, to help you out, we’ve included a promotional image, alongside an in-game screenshot of the Frostwing Dragon Glider in Fortnite down below. Looks pretty majestic if you ask us. Who doesn’t want to fly over the bouncy Loot Lake, dangling from the talons of an enormous ice dragon? Nobody, that’s who. And that’s all you need to know to get the Frostwing Dragon Glider in Fortnite Season 5. For more tips, tricks, and information on the current season, make your way over to our wiki for guidance on everything Season 5.